Showings start 1/24. Cute As A Button! 2BR/1BA vintage charmer w/ hdwd flrs, archway, EIK, central air & partially fenced-in private yard! Charming bungalow w/ lots of storage incl full bsmt w/ laundry & 1/4 BA. An add'l room in LL could be finished into an office or non-conforming 3rd BR. Relax on the front porch & back deck! Huge det 2-car garage with storage! Conveniently located on sleepy, tree-lined street on the near East Side w/ easy access to downtown Madison. Close to Olbrich Gardens and the Starkweather Creek Bike Path! Hurry, won't last long! End of Mar-mid Apr closing pref. Directions:E. Washington to E on Milwaukee St; turn L on Powers. SchoolsClick map icons below to view information for schools near 15 Powers Ave Madison, WI 53714. Home for sale at 15 Powers Ave Madison, WI 53714. 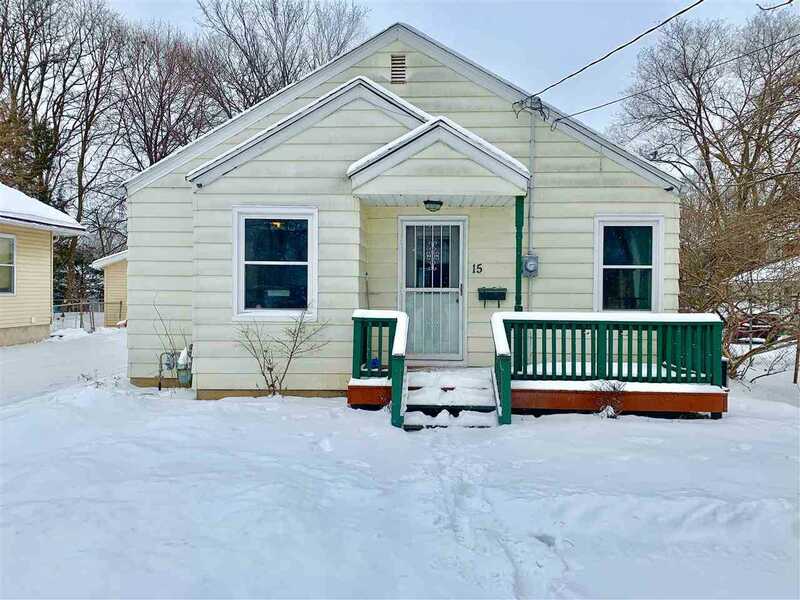 Description: The property at 15 Powers Ave Madison, WI 53714 with the MLS# 1848701 is currently listed for $190,000 and has been on the Madison market for 92 days. You are viewing the South Central Wisconsin MLS listing details of the home for sale at 15 Powers Ave Madison, WI 53714, which features 2 bedrooms and 1 bathrooms, and has approximately 893 sq.ft. of living area.